Abdurrahim bey Asad bey oglu Hagverdiyev (Azerbaijani: Əbdürrəhim bəy Haqverdiyev) (17 May 1870 – 17 December 1933) was an Azerbaijani playwright, stage director, politician and public figure. Abdurrahim bey was born in a Shusha suburb (then part of the Russian Empire, now in the Nagorno-Karabakh region of Azerbaijan) to court reporter Asad bey Hagverdiyev and his wife Husnujahan. After losing his father, he lived with his uncle's family, and later back with his mother who had married a local official. He studied at a two-year Russian-Muslim school, then perfected his Russian at Malik-Hagnazarov's School and in 1884 enrolled in a seven-year Shusha Realschule. In his final year her was transferred to the Realschule in Tiflis. At age 14, he got acquainted with theatre for the first time by watching the adaptation of Mirza Fatali Akhundov's play Khirs guldurbasan. Upon graduating he was admitted to the Saint Petersburg Institute of Transportation Engineering and attended lectures in Oriental Studies at the Saint Petersburg University as a visiting student. During the eight-year period spent in Saint Petersburg, Hagverdiyev also excelled in French, which helped him to get to know traditions of the Western European drama. In 1892, Hagverdiyev wrote his first dramatical piece, a comedy entitled Yeyarsan gaz atini, gorarsan lazzatini. The book was almost immediately published thanks to benevolent Muslim societies of the Russian capital. While in Saint Petersburg, Hagverdiyev wrote the first epic tragedy in the Azeri language, Daghilan tifag ("The Breaking of Unity", 1896). In 1899 he returned to Shusha and got involved in theatre directing. Alongside he continued to write plays, namely Bakhtsiz javan ("The Unlucky Young Man", 1900) and Pari Jadu ("Nymph Magic", 1901). In 1907 he finished his historical tragedy Agha Mohammad Shah Qajar, which brought him great fame. Beginning in 1906 Hagverdiyev wrote for the satirical magazine Molla Nasraddin. In 1908 he directed Azerbaijani composer Uzeyir Hajibeyov's opera Leyli and Majnun. In 1911–1916 he lived in Agdam having dedicated himself mostly to writing fiction. In the next two years he lived and worked in Tiflis as a reporter for the local Russian-language newspaper. In 1905 Hagverdiyev was appointed to Shusha's municipal government. In 1906 he was elected to the State Duma of the Russian Empire (Russian Imperial legislative assembly) as a representative of the Elisabethpol Governorate and went off to Saint Petersburg. After its dissolution, Hagverdiyev came back to work in the insurance industry and later in a waterway transportation company. In these years, he often travelled to Iran and Central Asia. In 1918, Hagverdiyev, who lived in Tiflis at the time and worked as a court officer, was appointed representative of Georgia's Azeri community in the Parliament of the newly formed Democratic Republic of Georgia. At the same time he taught at an Azeri-language secondary school in Tiflis. In 1919 he accepted the invitation by the government of the Azerbaijan Democratic Republic to serve as the Azerbaijani consul in Dagestan, and later in Armenia. 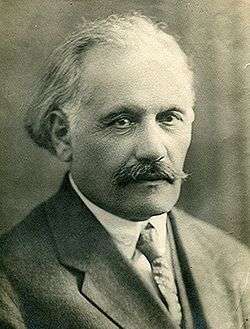 After Azerbaijan's Sovietization in 1920 Hagverdiyev was appointed head of the department for theatres in the People's Commissariat for Enlightening (early Soviet analogy of the Ministry of Education). In 1921–1931 he worked in the Oriental Studies department of the Azerbaijan State University. In 1923–1935 he was head of the Azerbaijan Society for Scientific Research, of which he was a co-founder. In 1924 he was elected Corresponding Member of the Russian Academy of Sciences. In 1929 he received the title of an Honoured art worker of Azerbaijan. In 1930–1932 Hagverdiyev was Chair of the Writers' Union of Azerbaijan. He died in Baku in 1933. Abdurrahim bey Hagverdiyev's 40-year-old productive career in literature was a successful continuation to the dramaturgic traditions initiated by Mirza Fatali Akhundov in the early-to-mid 19th century. In his works and articles he communicated themes like the necessity of mass education and the respect for human rights and liberties. His tragedies were true depictions of contemporary problems. Due to his education, knowledge of Western and Eastern cultures and his refined manners Hagverdiyev was widely known and loved by Azerbaijanis, setting an example to the young generation of writers. Wikimedia Commons has media related to Abdurrahim bey Hagverdiyev. (Azerbaijani) Plays by Abdurrahim bey Hagverdiyev online. Gutenberg.aznet.org.